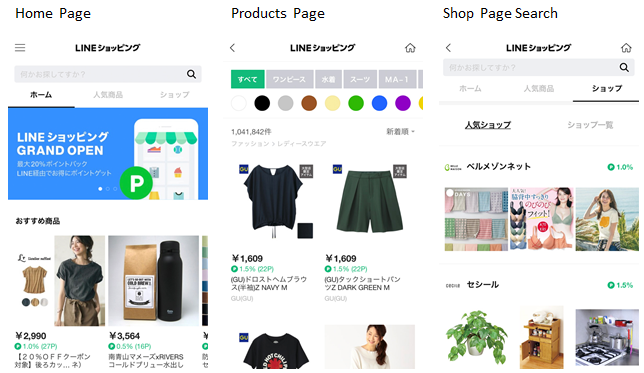 TOKYO – June 15, 2017 – LINE SHOPPING, a shopping service from LINE Corporation providing users with a simple and fun shopping experience through the LINE messaging app, begins operation today in Japan. LINE SHOPPING represents an important step forward for LINE’s “Smart Portal” concept, which aims to give users complete and seamless access to all the information, services, companies and brands they want, anytime and anywhere. In addition to being a full “Content Platform,” offering users music, video, manga, and more, LINE is also growing and reinforcing its role as a “Life Platform,” providing payments and points through its mobile payment and money-sending service LINE Pay, which has over 30 million registered users in Japan. As a part of these efforts, LINE is building itself into an even better Life Platform with today’s launch of LINE SHOPPING. This service will act as a gateway to a wide variety of shops, including fashion, general goods, sporting goods, home decor, electronics, cosmetics, and beyond. With other online shopping options, users and businesses alike have faced a variety of difficulties, such as incompatible point systems used by different shopping malls and online shops, or the inability brands have gathering customer data from purchases made in shopping malls. By leveraging the LINE messaging app and its 68 million users in Japan, LINE SHOPPING will provide new opportunities to introduce users to shops and provide an enjoyable environment for users, companies, and brands alike. Products from over 100 companies and fashion brands will be available on the service, which users can easily search and browse through LINE, without needing to additionally install any external apps. Users can search for products by name, but will also have access to 30 filters, such as “category” and “shop name,” to help narrow down their search. Since reading through product descriptions and making payments all take place on the company and brand shopping sites where the product is being sold, users will see information and products presented exactly in the way that companies and brands envision. What’s more, just by making purchases through LINE SHOPPING, users can get up to 20%* of the purchase price back in LINE Points and transfer the points they’ve accumulated to their LINE Pay accounts (1 point = 1 JPY) or convert them to LINE Coins to use for purchasing Stickers and more. No need to install additional external applications since LINE SHOPPING can be accessed directly from within the main LINE app. Introducing a wide variety of products, including fashion, general goods, sporting goods, home decor, electronics, and cosmetics. 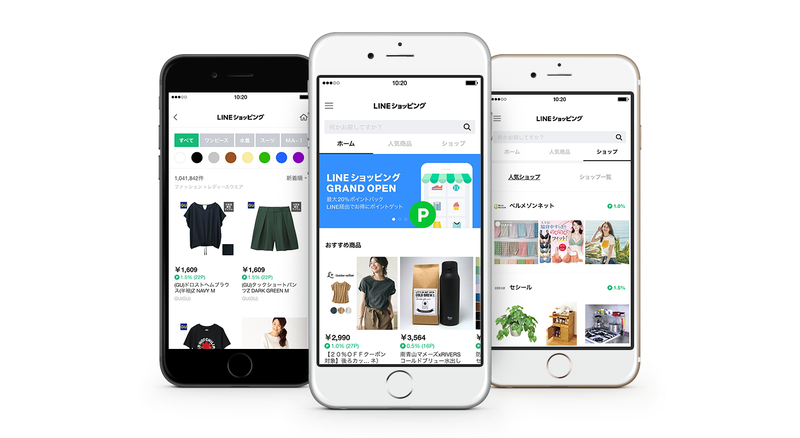 In addition to online shops, LINE is exploring ways to strengthen its connections with offline stores and plans to provide value to users through an even more seamless and enjoyable shopping experience. LINE is aiming for a gross merchandise value of 100 billion yen in 2018. Furthermore, LINE also plans to start its LINE Delima delivery service in July, based on the LINE Commerce Gateway system announced at LINE Conference 2017. Through this initiative, LINE endeavors to accelerate its efforts to become a “Smart Portal” and aspires to establish LINE SHOPPING and LINE DELIMA as shopping gateways.